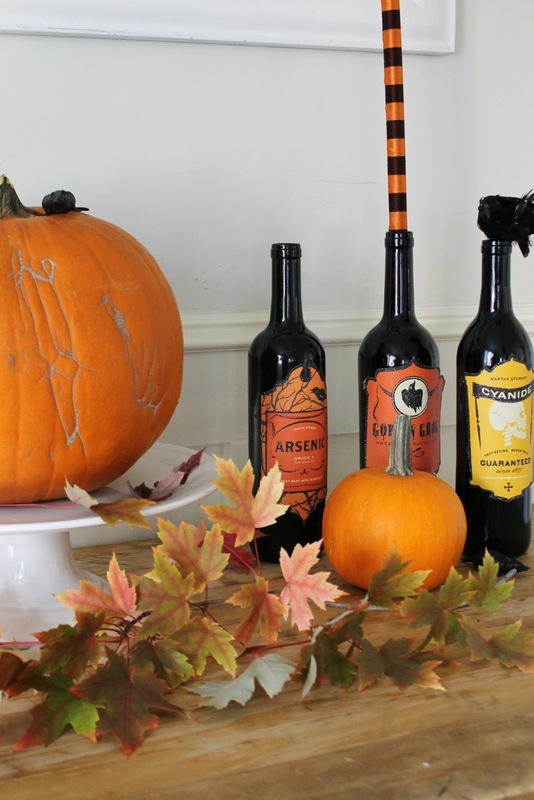 In my last post I shared a little Halloween Decorating I did around our home. 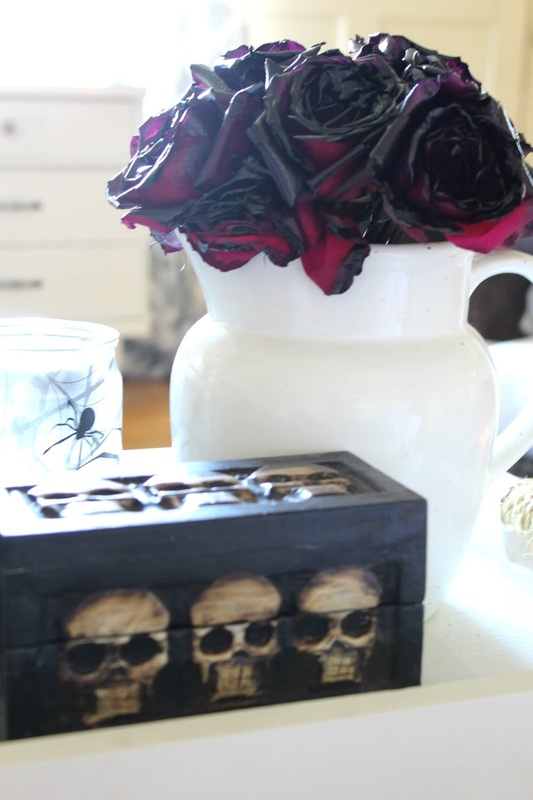 Today I'm going to share two easy DIY Halloween decor ideas. 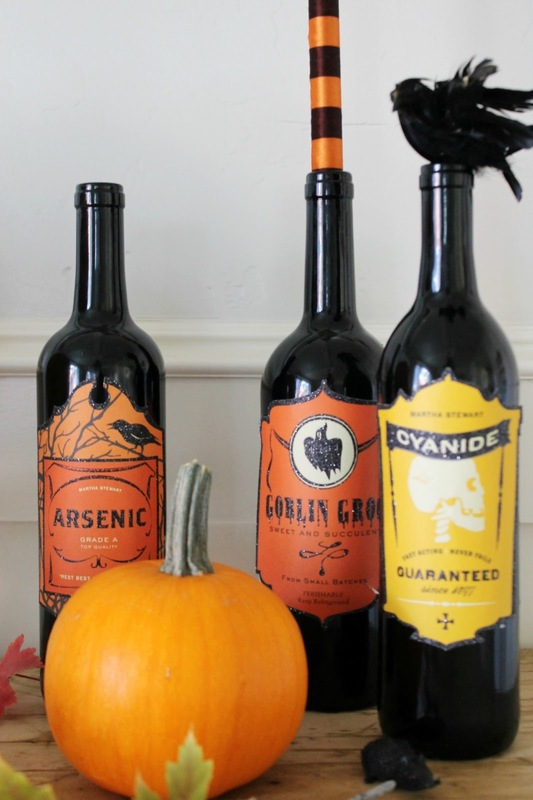 The first are these fun black poison bottles. For this project, I started off with a few empty wine bottles. I actually picked them up at a yard sale over the summer....surprised? I'm sure not. However they are from Martha Stewart so I'm sure they, or something similar, can be found at Michaels. And then while I had the black spray paint out, I decided to spray some roses as well. Jake surprised me with these beautiful red roses not too long ago. But they were starting to wilt so I thought I'd turn them into Halloween decor. As you can see, I just stuck the roses in a plastic cup with some gravel. I then lightly sprayed them with the black spray paint. The paint really added a cool effect to the roses. By spraying the roses, it actually preserved them. They are still big and full. Both projects were super simple. Again, you can see more of my Halloween decorating HERE. What a great idea for the roses! I am going to have to try that, especially with clear!